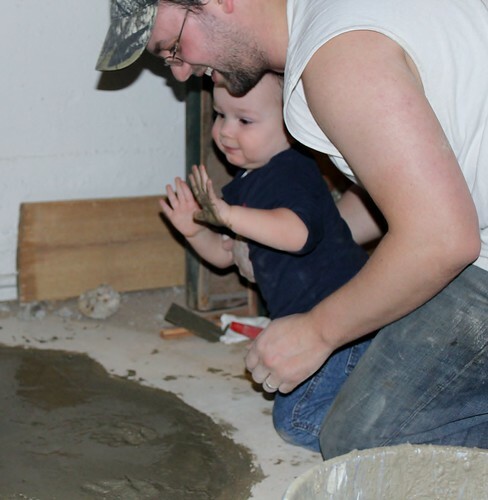 We had a concrete party this morning at the Williamson household. 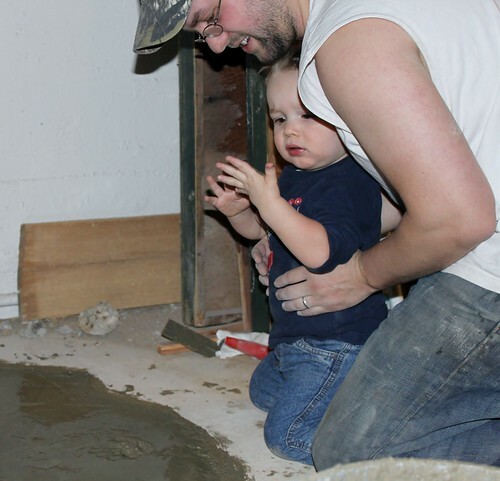 5 guys came over to help Sam carry, mix, and pour concrete in the basement. I'm still waiting on the after pictures of the project, so in the meantime I will just show you one moment from the day. Sam wanted Luke's hand prints to be a permanent feature on the floor of his workshop, so they called him downstairs for a little movie star moment. 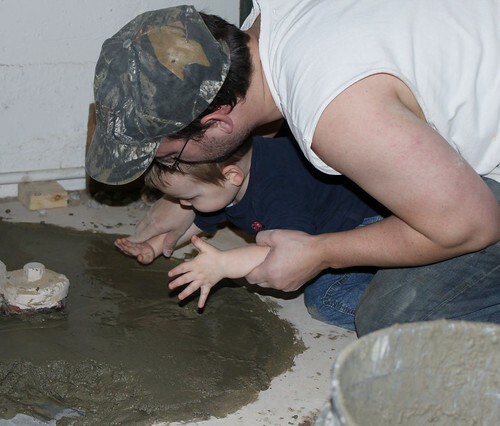 Daddy helped him stick his hands into the wet concrete. Um, does this stuff come off?